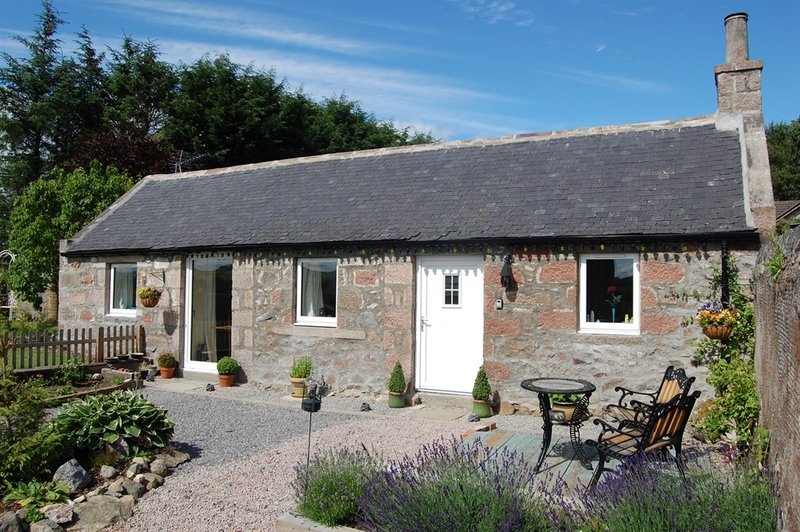 Modern, high spec, fully equipped self-catering one bedroom cottage in the heart of Aberdeenshire. 100% positive feedback from guests over the last 4 years of operation with 60% return custom. One bedroom self-catering cottage with all mod cons and everything to make this a home from home. Ideal to visit any of 300 castles in the 'shire', gardens and country houses and loads of walks and hikes in the locality. Two comfy sofas, flat-screen TV/DVD player, free WiFi, all utilities, bedding, linen and tea and coffee making facilities included, library of books, CDs and 60 DVDs, luxurious bed and a decking area facing West to enjoy the setting sun over the Correen Hills.